Nineteenth-century French writer Marie-Henri Beyle, better known by his pen name Stendhal, is one of the earliest leading practitioners of realism, his stories filled with sharp analyses of his characters' psychology. This translation of Stendhal's Chroniques italiennes, is a collection of nine tales written between 1829 and 1840, many of which were published only after his death. Together these collected tales reveal a great novelist working with highly dramatic subject matter to forge a vision of life lived at its most intense. 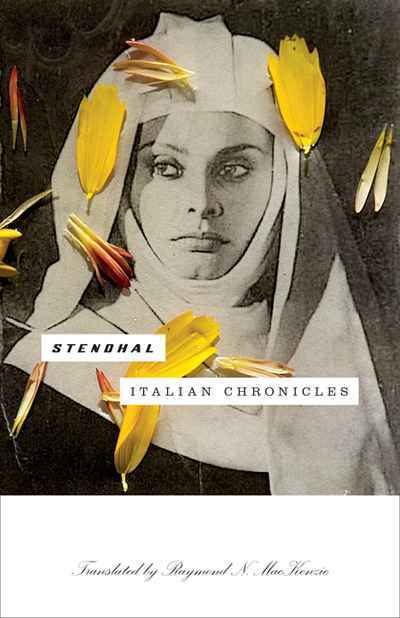 The setting for these tales is a romanticised Italy, a place Stendhal viewed as unpolluted by bourgeois inhibitions and conformism. From the hothouse atmosphere of aristocratic convents to the horrors of the Cenci family, the tales in Italian Chronicles all feature passionate, transgressive characters engaged in la chasse au bonheur the quest for happiness. Most of the tragic, violent tales are based on historical events, with Stendhal using history to validate his characters extreme behaviours as they battle literal and figurative oppression and try to break through to freedom. Complete with revenge, bloody daggers, poisonings, and thick-walled nunneries, this new translation of Italian Chronicles includes four never-before-translated stories and a fascinating introduction detailing the origins of the book. It is sure to gratify established Stendhal fans as well as readers new to the writer.